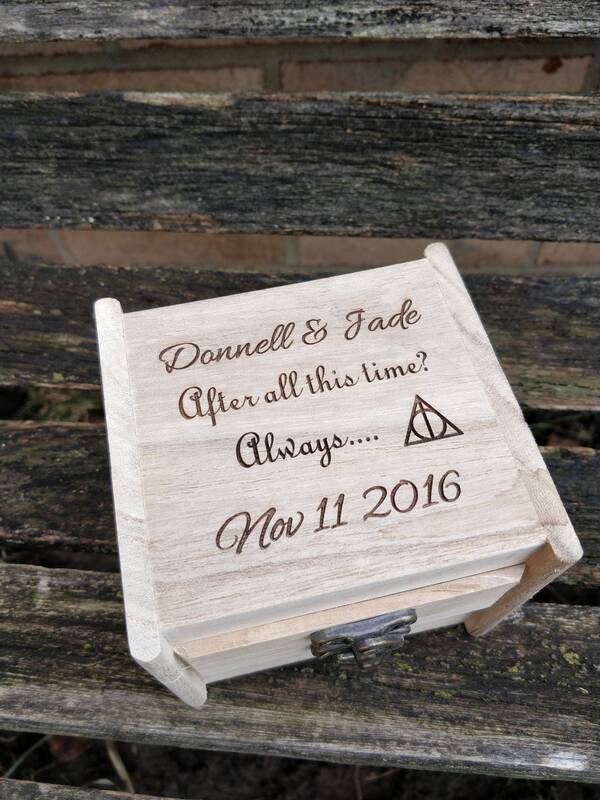 After All This Time? Always Ring Box & Pillow. 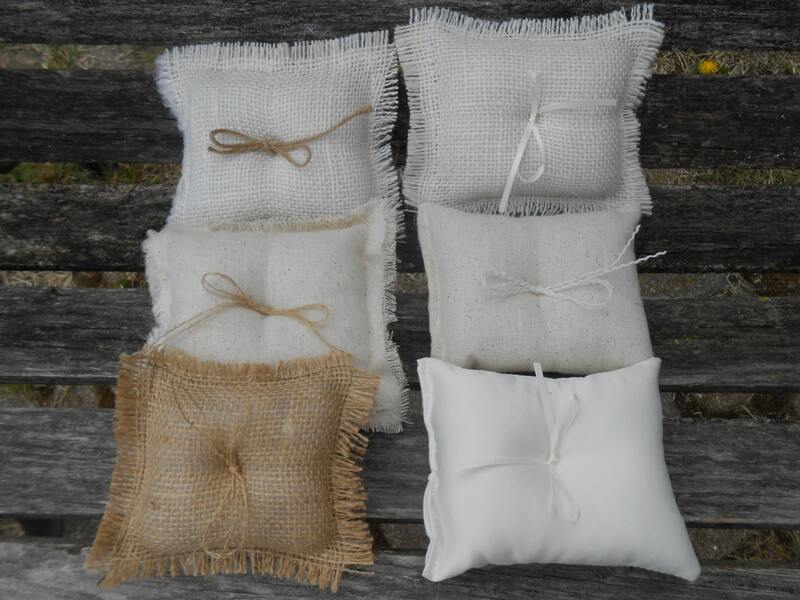 CHOOSE YOUR PILLOW Style! Wedding Accessories. Ring Bearer, Bridal. Chest. 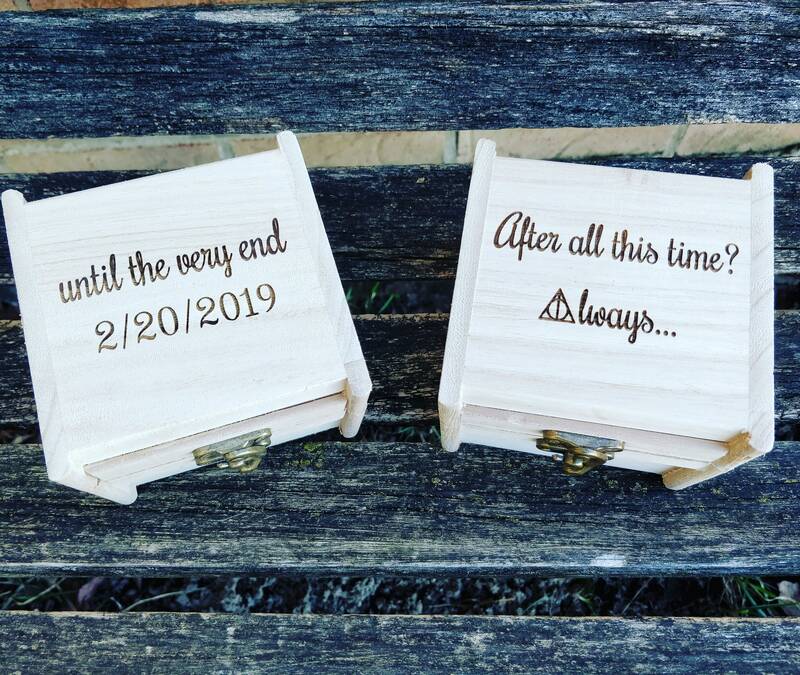 This cute little box is the perfect accent to any wedding! 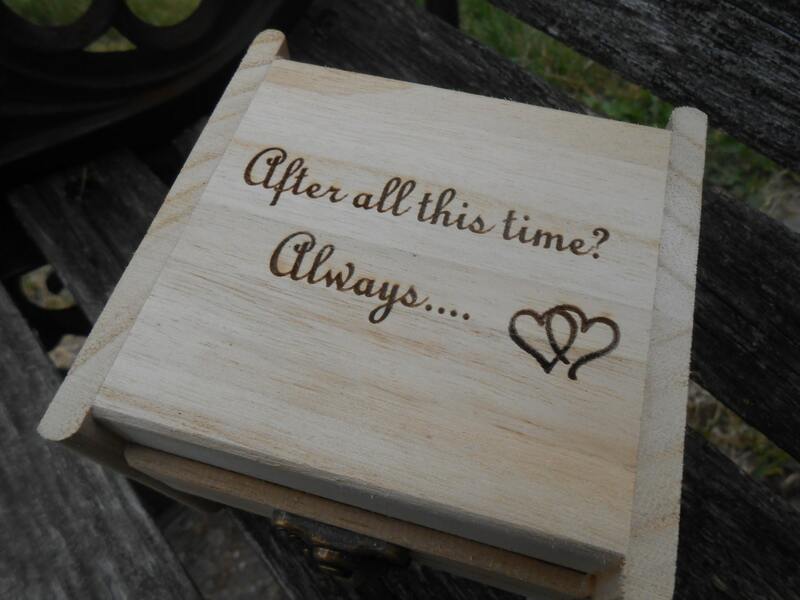 It has the phrase "After all this time? 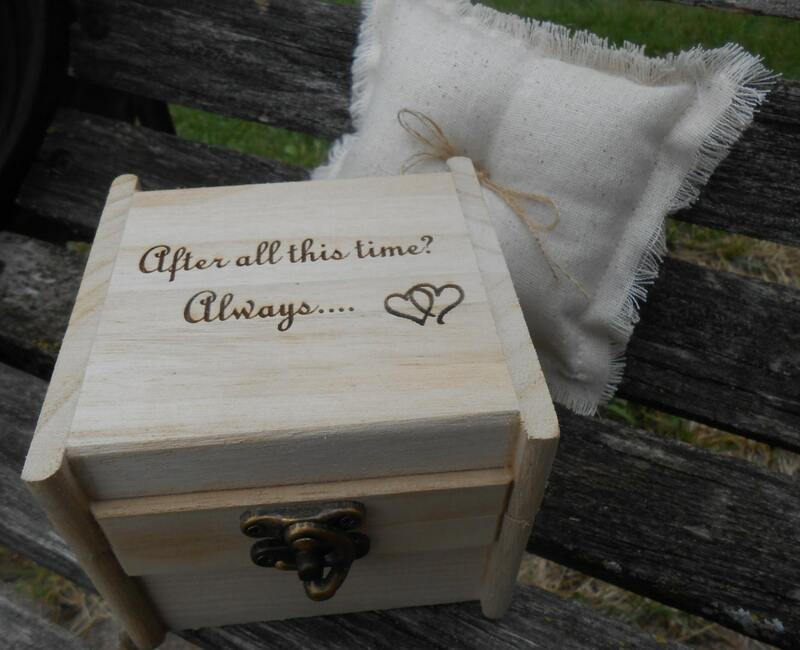 Always..." laser engraved on the top, with two little entwined accent hearts. The box is a lightweight wood. 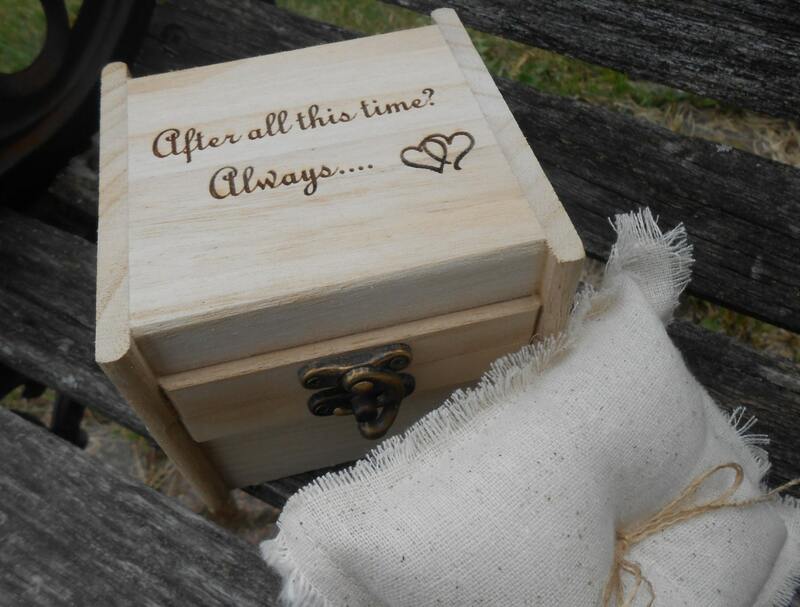 It has a clasp, so that the box can stay closed and the rings stay safe on the walk down the aisle! 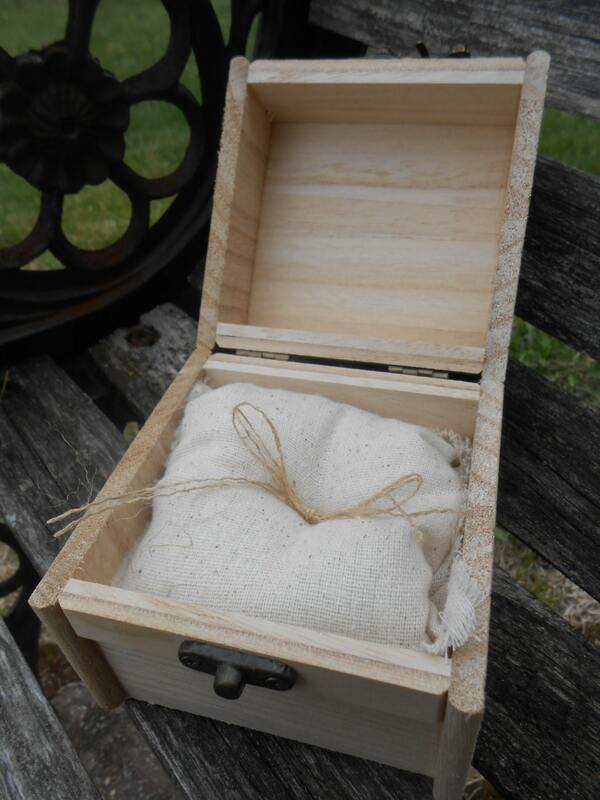 The box measures 4" wide x 3 3/4" deep x 3 3/8" tall. The pillow fits snuggly, so that it won't fall out.